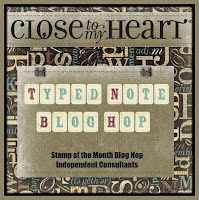 Welcome to April's SOTM CTMH Blog Hop. You should have arrived here from Katie's Blog. I have been missing from this Blog Hop circuit for couple of months, been busy spring cleaning my craft room. 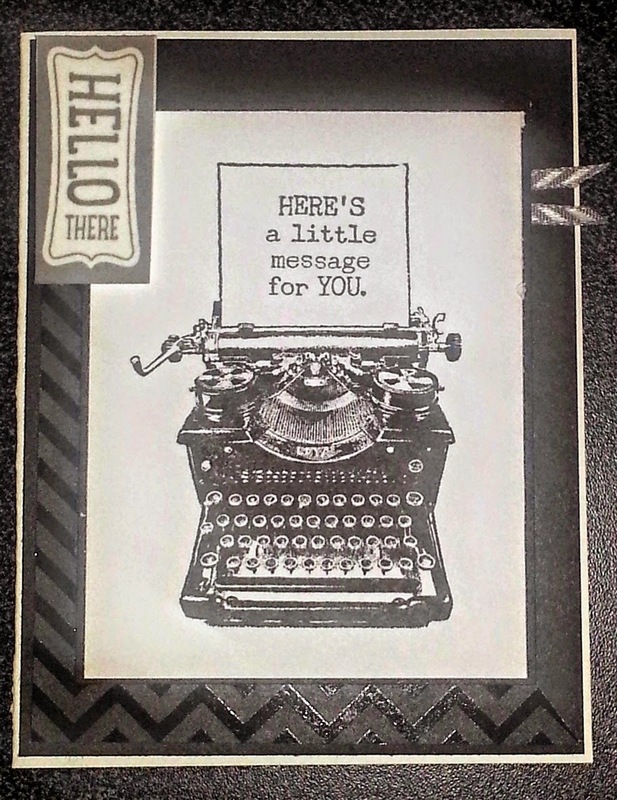 However, I am back on track and loving this stamp set. 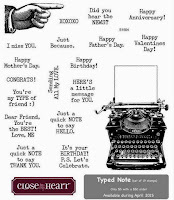 This is one stamp set I am sure you are going to want to have. Contact myself or your local Close to my Heart Consultant to order yours, today. I have a million ideas of what I can do with this typewriter. But this is the one I decided to showcase, hope you like it. Oh, love the black fundamental paper. Looks great with this stamp. I love the washi tape...can't wait to get some. yes, I like it! Now I wish I had opened up the new washi tape already! I was saving it for the Seasonal hop! SO pretty - lovin' the washi! The fundamental papers are fantastic! Great card. I need to order that new washi tape soon. Love the card! Love the cute little ribbons too! Love love the black & white! That new washi is a great touch! Nice card. The chevron Paper Fundamentals is a nice background.